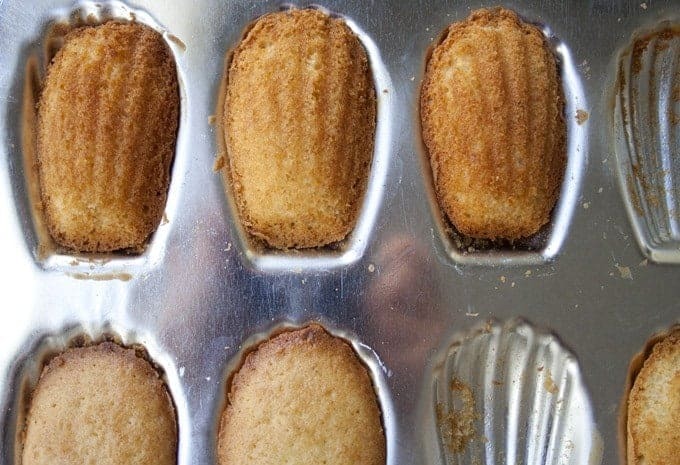 Madeleines, superstar famous; hanging out with Marcel Proust, always getting tons of press, a sweet little teacake whose name is spoken daily, but like some stars, has always seemed just a little bit fussy in my kitchen. Bijouxs took a little time to get to know sweet madeleine and introduced her to some lavender and honey, revealing a sweet and simple little cake, a real little jewel. 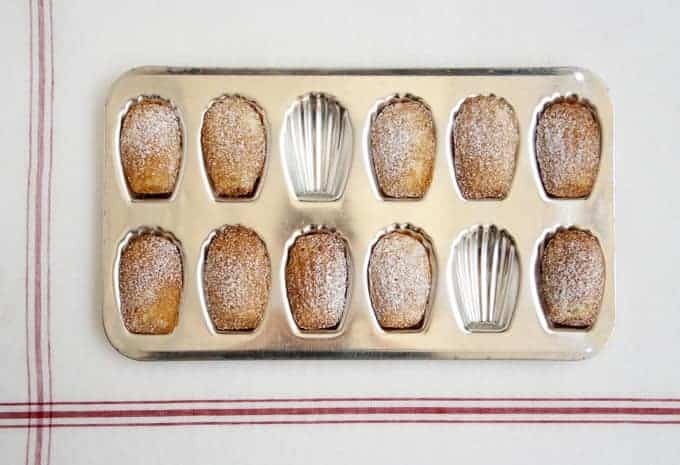 The teacake of Proust, madeleines are baked in elegant shell motif pans, these delicate darlings are truly little jewels. 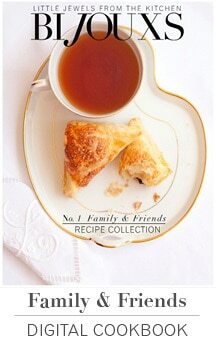 Freshly baked, beside a cup of tea, you are immediately transported to an era of gentility. 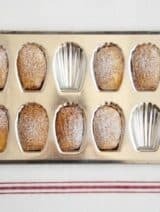 Breaking it down however, classic madeleines are really quite simple fare, sans the special pan, they are very close to a classic pound cake in recipe proportions, that alone makes them seem a lot less fussy. There are many recipe variations, but in my baking experience felt that I needed the cakes to be a little sturdier so they would graciously exit the pan, perfect shell motif intact. My early baking experiences yielded cakes that looked beautiful in the pan, but became very fussy about leaving the pan, exiting the pan at times was not pretty, and the crumbles here and there on their shells dissuaded me from baking another batch; the star that just wasn’t looking like her picture. 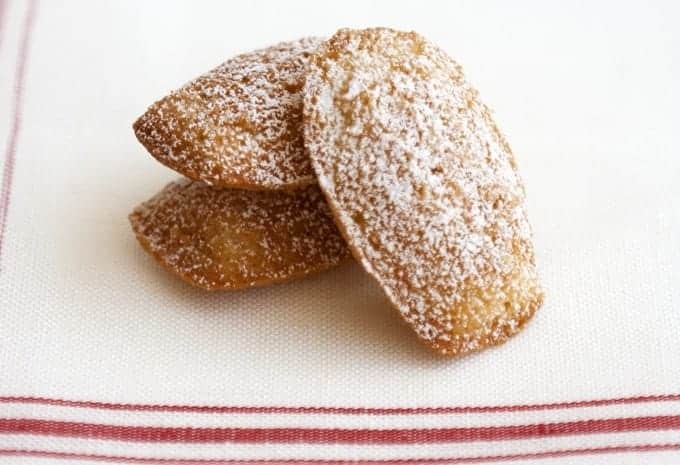 Recently inspired by a honey from Lavender Oaks Farm and memories of Provence, madeleines were again a part the Bijouxs kitchen. A few minor adjustments to the classic batter, a little infusion of lavender into the melted butter, and a touch of honey yielded delicious light cakes that exited the baking pan with greater ease. Some of the things I noted during this baking experience were: I took care to properly chill the batter before baking, some recommend overnight, but a few hours seems to have done the trick; buttering the molds thoroughly, using care to butter all the little grooves, can’t say enough about taking time to do this; and allowing the cakes to achieve golden brown edges, rotating the pan half way through the baking. 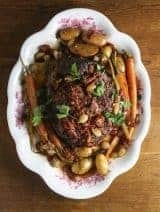 When the first batch emerged from the oven, they looked beautiful, crisp brown edges in tact as I gently removed them from the pan, however, I was not sure if I should eat them or place a wick in them – I had over infused the butter with the dried lavender, instead creating a new type of scented candle. Adjustments were made in the subsequent batches, a subtle lavender essence finished with a dusting of powdered sugar. 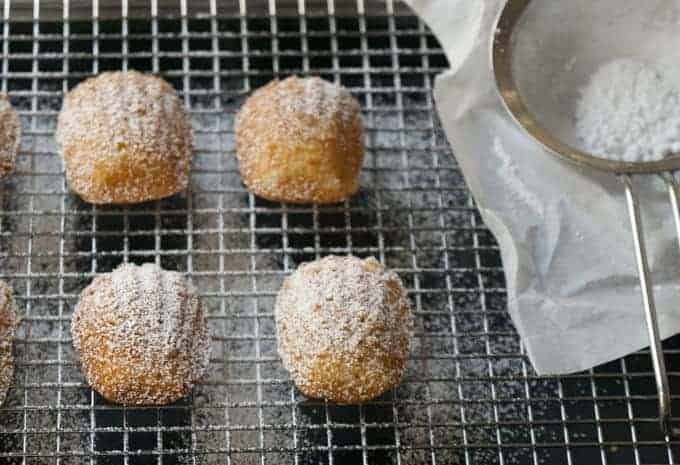 You may omit the lavender infusion step, use any kind of honey you might have on hand and I used a just a simple basic madeleine pan. 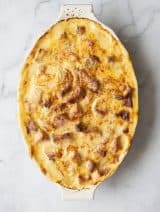 After spending some time in the kitchen with the famous little madeleine, Bijouxs found her to be simple and sweet, and just a pretty as her picture. 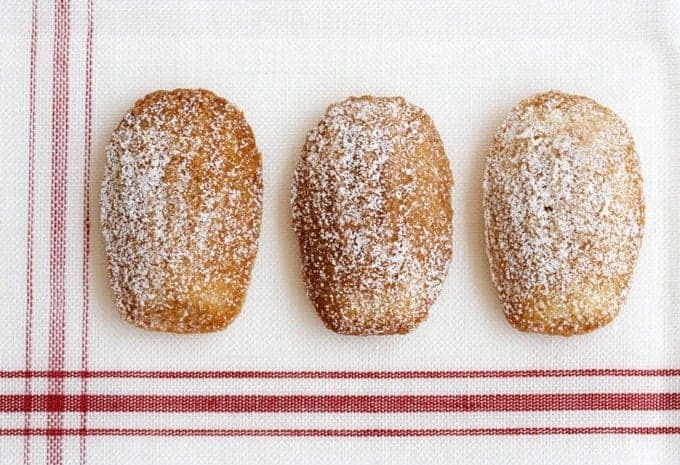 Lavender Honey Madeleines – sweet little jewels. Hi Noelle! Yes, you do mix in the cooled lavender infused butter to the batter after you have folded in the dry ingredients. 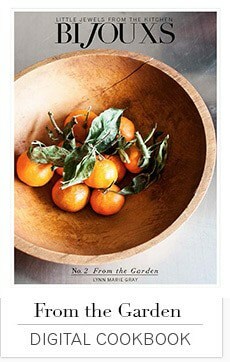 No matter how many times things are proofed little things slip by. 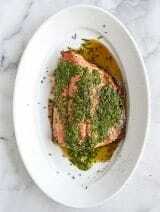 Thank you for letting me and I have updated the recipe! You did the right thing – hope they turned out wonderful for you!